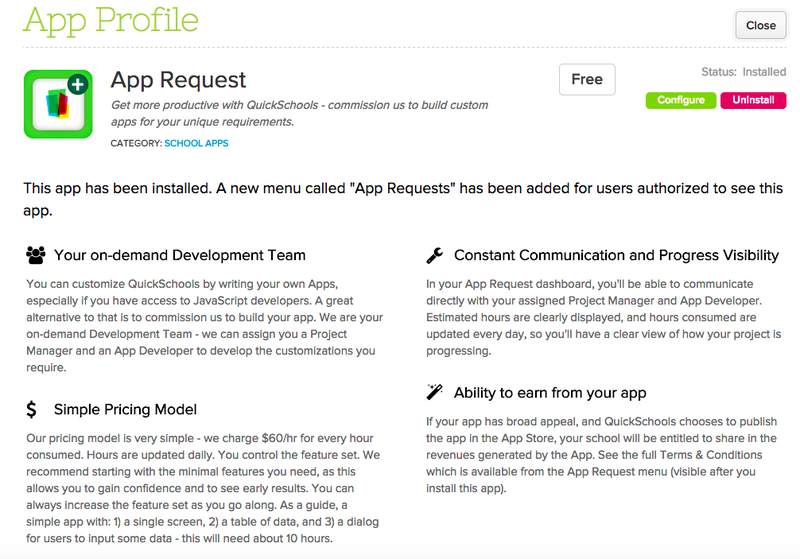 We mentioned in a recent post that schools can use our Open APIs and support for App Development to build your own apps. And if you do not have your own engineering / development resources, you can actually commission our QuickSchools team to develop apps for you, at a flat hourly rate. In many cases, if the scope of the proposed improvement is well-defined, we can even estimate the total cost of the custom development up front, as a fixed cost. But often times this is not possible, especially if it’s not completely clear what is required, or if the project itself it susceptible to scope creep. With a “Pay-As-You-Go” development model, the customer has full control on the scope and direction of new custom development. So how does this hourly “Pay-As-You-Go” development work? 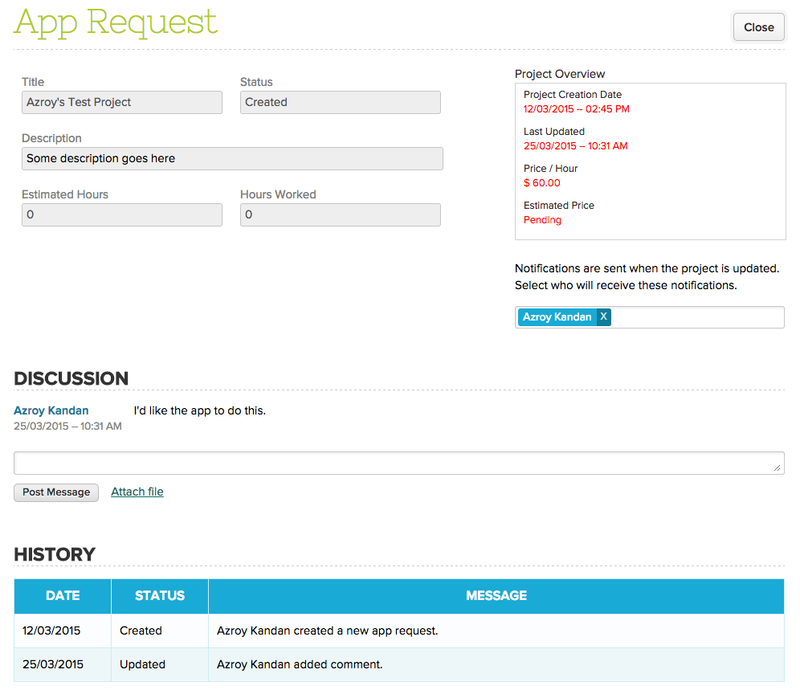 Once the app is enabled, you can use the “Request App” button to submit a request. You can then communicate directly with a Product Development Manager to hash out requirements and estimate costs before approving work. This new process is a work in progress, so we’re looking for ways to improve the process overall. But so far it’s proving to be an important tool for schools that need that extra customization. Please read the “Terms & Conditions” on the app for latest information. And feel free to chat in with any questions.